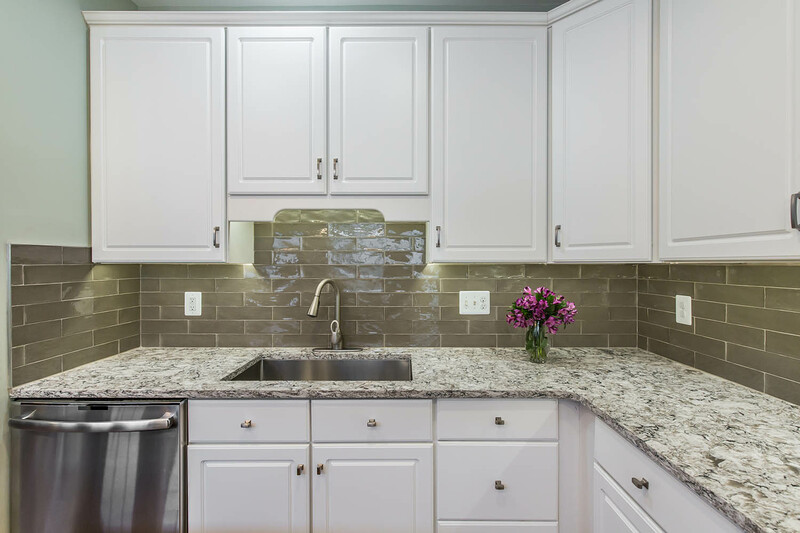 The client’s goal was to update their kitchen while keeping budget in mind. 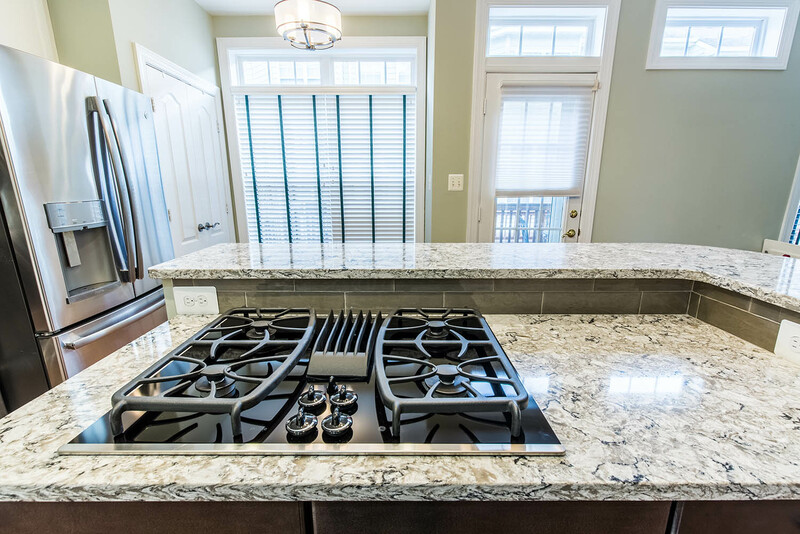 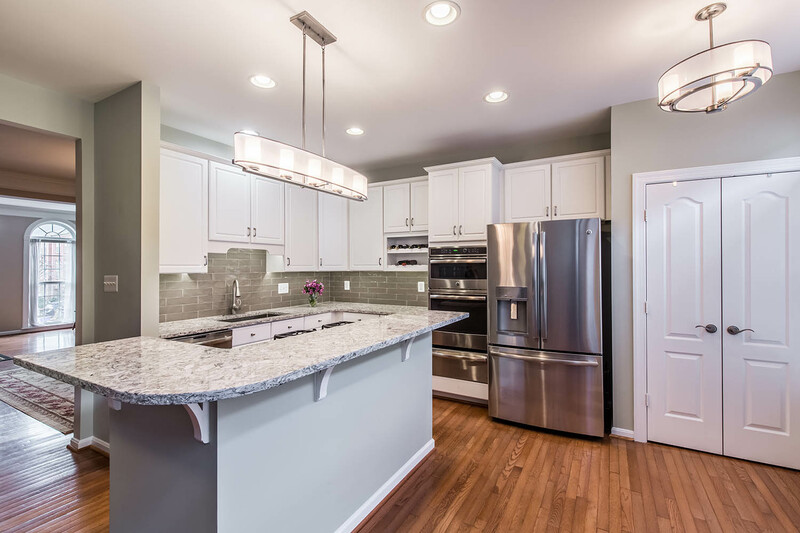 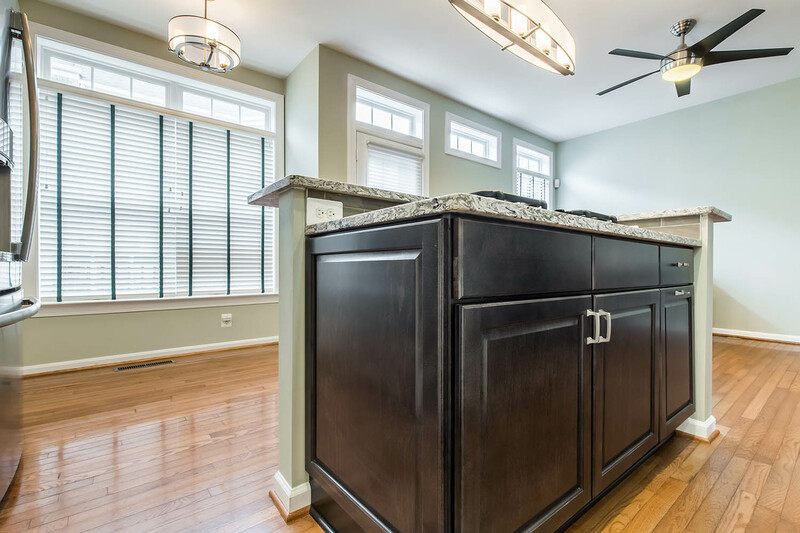 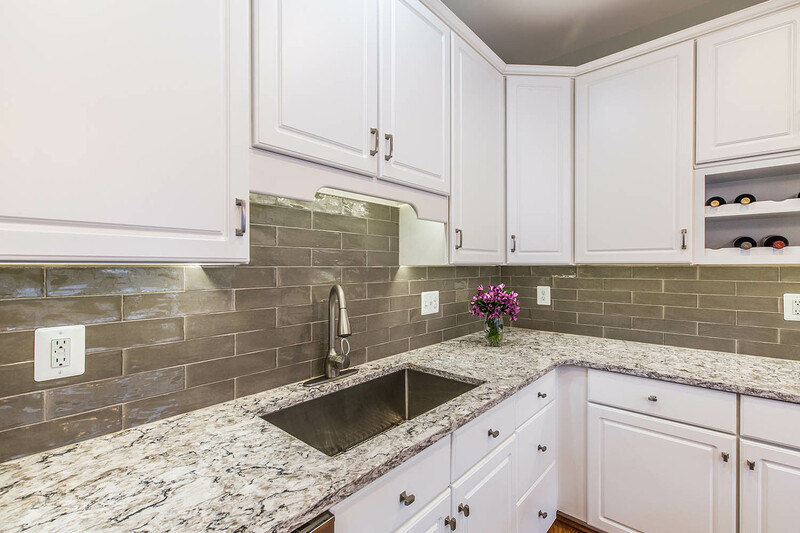 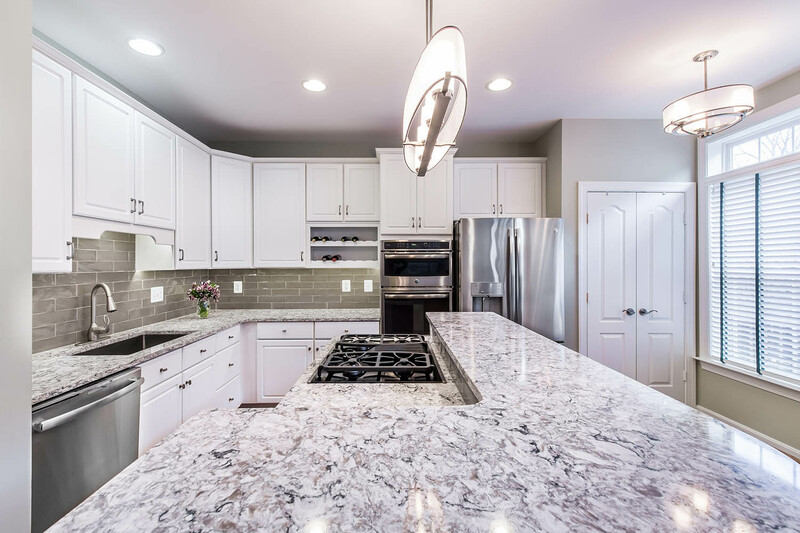 They decided to keep their timeless white cabinets and hardwood flooring but select a new countertop and backsplash; replace and enlarge the island; and install new lighting, appliances, sink, and hardware. 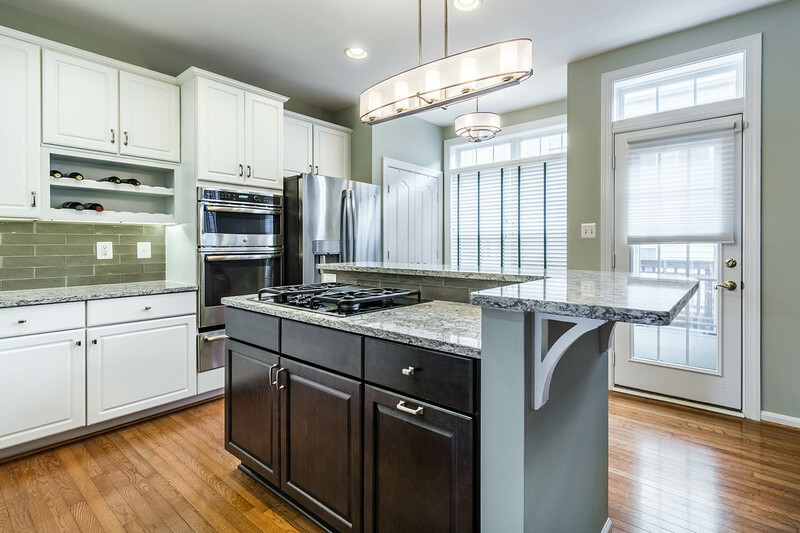 We chose an espresso stain for the island cabinetry, which balanced beautifully with the mid-tone hardwood floor and white perimeter cabinets. 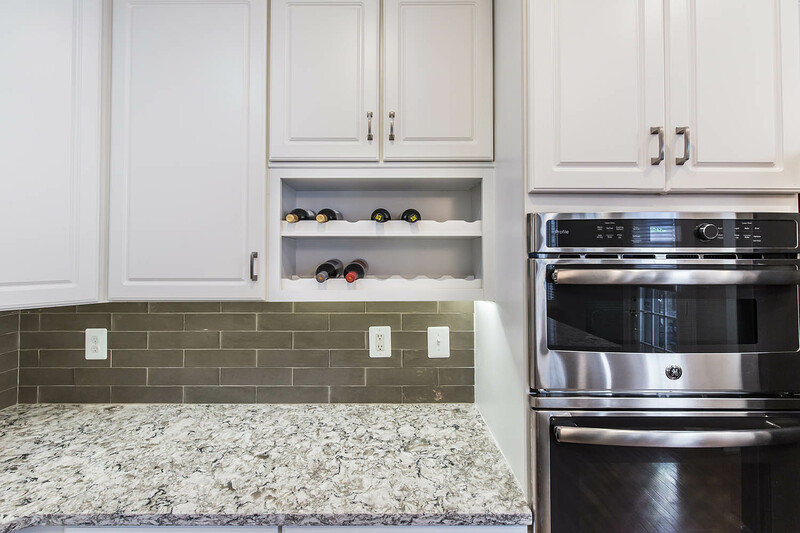 The 3″ x 12″ gray porcelain tile backsplash (laid in a subway pattern) and a Cambria Bellingham quartz countertop ensured a modern look. 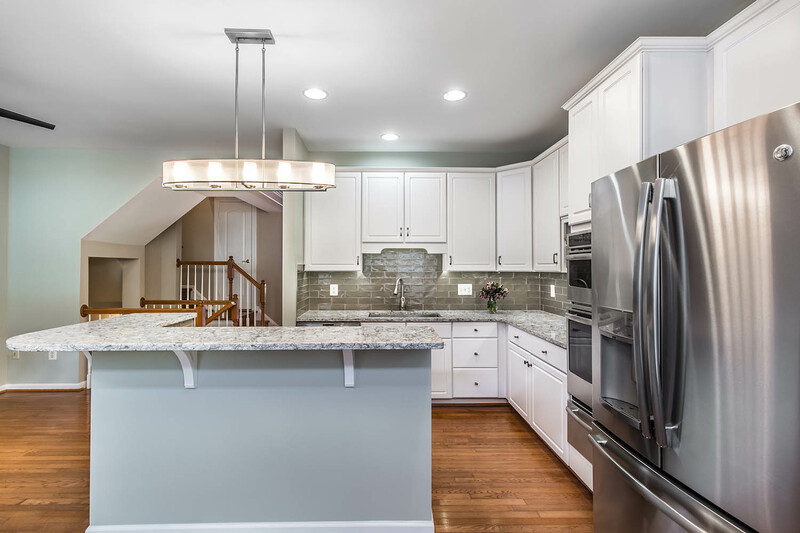 Final touches included a new island pendant chandelier and under-cabinet lighting.